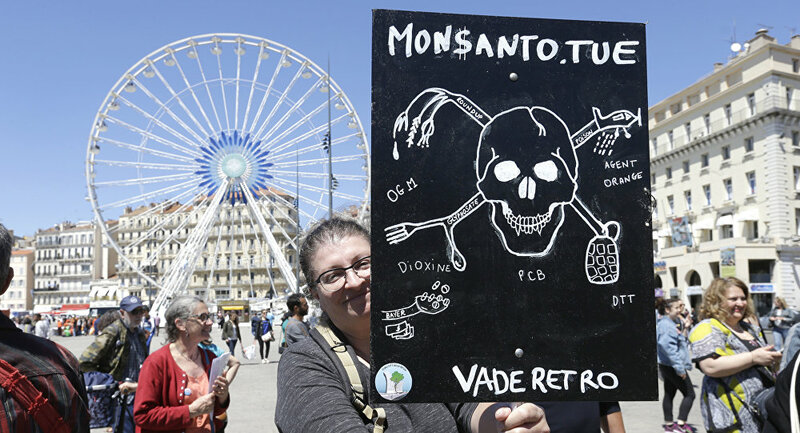 The agrochemical giant Monsanto is attacking scientists' reputations in an effort to ensure its controversial weed killer glyphosate gets another license for use in the EU, Alexis Baden-Mayer, Political Director of the Organic Consumers Association, told Radio Sputnik. 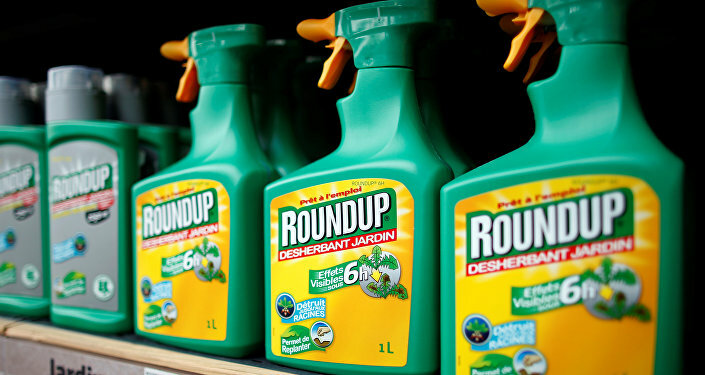 Agricultural biotechnology giant Monsanto has stepped up its campaign in support of the controversial weed killer glyphosate, which was developed by the company and is the main ingredient in its popular "Roundup" herbicide. In 2015, the World Health Organization's International Agency for Research on Cancer (IARC) declared glyphosate a "probable human carcinogen." The report led to calls from health professionals and campaigners for the substance to be banned. In France, the Ecology Ministry banned its use in nurseries and garden centers. Despite the finding, and public opposition including a 1.3 million strong petition by the Stop Glyphosate pressure group, in March this year the European Chemical Agency concluded that glyphosate should not be classified as a carcinogen, after lobbying by Monsanto. Alexis Baden-Mayer, Political Director of the Organic Consumers Association, told Radio Sputnik that the chemical is highly dangerous to both farm workers and consumers. "Thousands of farmers and farm workers who have used Monsanto's Roundup have developed cancer as a result. But, it's also dangerous in the levels found in foods like Ben and Jerry's ice cream, which we recently tested for glyphosate. Small amounts of Roundup in food can kill our gut bacteria, damaging our digestion, damaging our immune system and also can cause chronic liver disease at these small amounts." "The facts are very clear, we have the many farm workers and farmers who have developed non-Hodgkin lymphoma and we also have the lab evidence that shows that Monsanto's Roundup is geno-toxic and how it creates that cancer that we've seen in these populations," Alexis Baden-Mayer said. "So, it [the IARC's declaration] is an airtight decision and now they're trying to damage the reputation of certain scientists who quite clearly have perfect reputations and they're trying to do that with science that they've manufactured themselves, that they've paid for, ghostwritten, that they've used political pressure especially in the US, to influence decisions from agencies like the Environmental Protection Agency." The EU is currently considering whether to re-issue a ten-year license for glyphosate, which has led Monsanto to step up its campaign against opponents of the chemical. The company is seeking an external probe into the workings of the IARC and its leadership and claims that the IARC overlooked a study that suggested the herbicide was safe. "They are clearly trying to muster some type of evidence that would counteract this finding that Roundup causes cancer. But, I don't think they're going to be able to do that. But I think it's very difficult for government bodies to go against the corporations so it's going to require a lot of public pressure and support for real science in order to make sure that the EU hears the real evidence and can stand up to the powerful corporations."